Our 2019 camps are listed below! Become a member today to take advantage of discounted registration and membership perks. Each camp includes activities that are STEM (Science, Technology, Engineering, and Math) oriented but hidden in fun educational instruction, arts and crafts, games, and indoor and outdoor activities, with professional and highly qualified counselors. 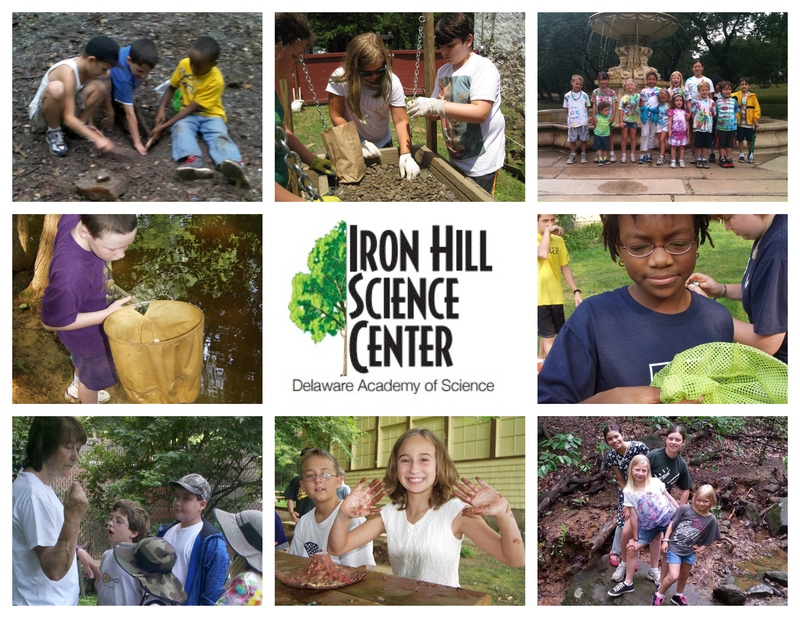 Iron Hill Museum & Science Center in Newark, Delaware, has been connecting families to nature since 1968! Each summer, Iron Hill offers science adventure camps for youth ages 7-13 (depending on the week). Our counselors are trained to teach to various age ranges and excel at helping children learn in many way. What’s under your feet? Investigate the world of rocks and how they were formed. Go rock hunting and start your own collection. Uncover the dinosaur story and find out what they tell us about pre-historic Delaware. See real life dinosaur skeletons on our field trip. Follow the clues that people long ago left behind. Mystery, intrigue and science wrapped into one fun-filled week of digging, hiking, and observing! Love being outdoors? Sharpen your skills to see the smallest things that usually go unnoticed. They can teach us big lessons! Wings, legs, and body parts! Can you tell a katydid from a grasshopper? Learn to identify the insects in Delaware and how to catch and release safely. Summer Camp Hours: 9 a.m. to 3 p.m.
Before and After Care: 7:30 a.m. to 9 a.m. & 3 p.m. to 5 p.m. Cost of each camp: $185 per camper per week. Extended care is $70 for the week or $30 for mornings and $40 for afternoons. We also offer daily pricing. Summer camp kid with a jar. Insect Safari: August 5-9, 2019. Join the fun at the Iron Hill Science Center, exploring native insects outdoors and in the collections. We will watch for important pollinators in our pollinator garden, express ourselves and what we are discovering through art, storytelling, and hands on activities, including songs and dance, ( join in our bee dance day!). 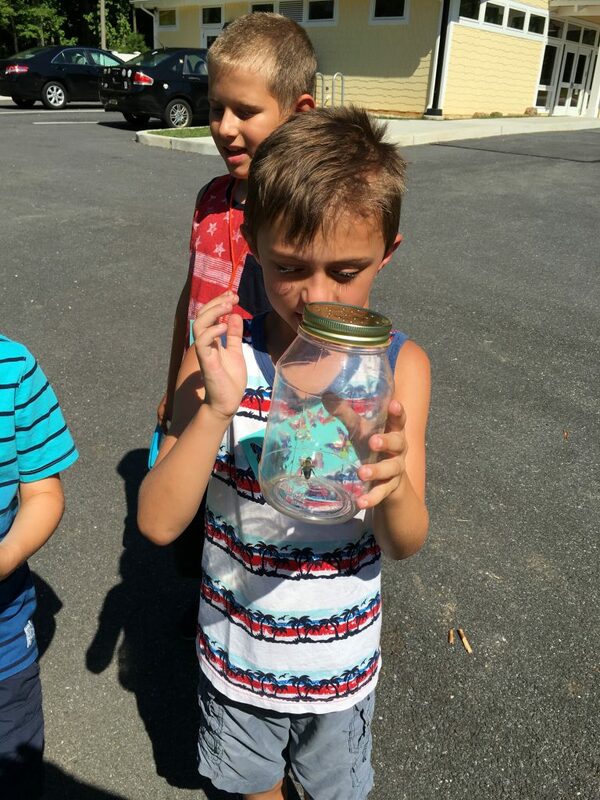 Be amazed at the loads of fun, success, and environmental “savvy” that your child will show. Ages 5- 8 years old. Check www.cityofnewarkde.us/play for more information. Both Camps 9 A.M. to 3 P.M., Monday through Friday. Fee: $246.00. WALK-IN 220 South Main Street, Newark, DE 19711 Hours – Monday – Friday, 8:30 a.m. – 5:00 p.m. After hours drop box is always available!